This is the second installment out of three covering the topic of navigating big challenges in modern youth sports culture. In the previous post, I talked about early specialization and its impact on young athletes. In today’s video, I’ll be covering an issue parents often come to EW Performance with: finding a suitable training environment for their young athlete. There’s a misconception that playing at a higher level is always better. This isn’t always the case. Putting a young athlete in a training environment beyond their skill level causes a lot of stress. They’re constantly trying to keep up versus focusing on developing their own skill. This can backfire on their confidence. We want to put young athletes in appropriate challenge levels for their current skills and abilities, which helps them build confidence. It’s important to also consider the team as a whole. When young athletes are put in training environments beyond their skill in team sports, it can have a negative impact on how the entire team functions. The athlete can also be seen by their team members as a weak link, and they’ll be less likely to get playing time. This can be very discouraging for child athletes. If college athletics is the goal for you or your child, understand that college coaches don’t care what level someone played at when they were 12. College coaches care about athleticism and mental fortitude demonstrated at age 16 and up. They will especially focus on the athlete’s skill development starting from that age. This means as a parent of a child athlete, the focus should be on long-term development. 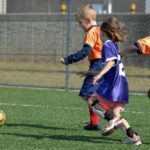 If we can make sure our child athlete develops their skills continually from age 16 and up, they’ll get much further along than if they are in over their heads at age 12. 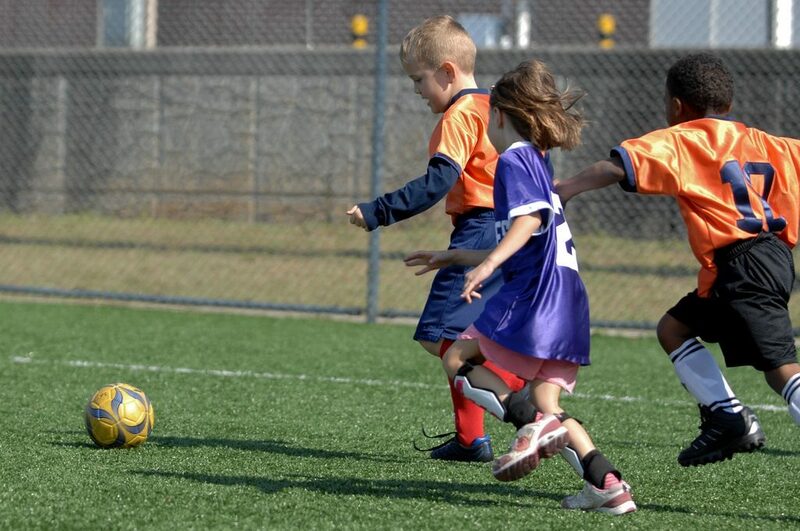 Youth organizations today are great at making sure they offer a variety of skill levels for your child to play. Coaches call this narrow bandwidth. Narrow bandwidth is when coaches or youth organizations group together players with similar skill levels. This way, they can teach an even skill level to the group and build the team as a whole. In the final installment, we’re going to go over how to find your fun! Click here for more advice on how to navigate big challenges in modern youth sports culture.